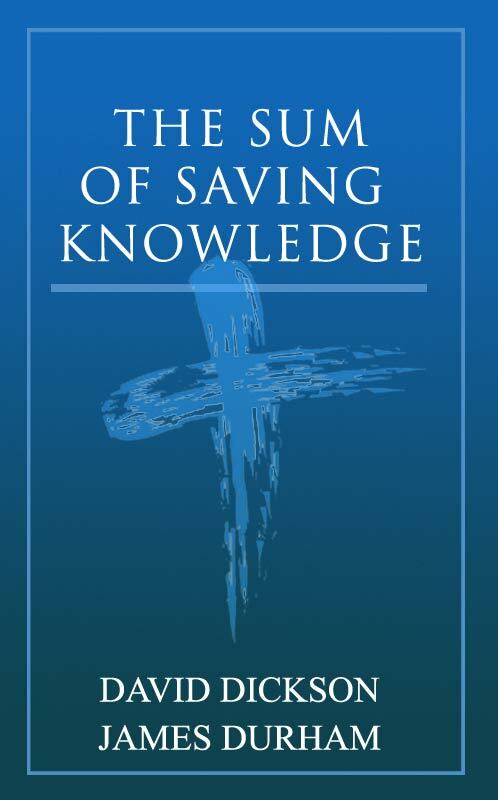 "A very strict friendship subsisted between these two great lights of the Church, and among other effects of their religious conversation we have 'The Sum of Saving Knowledge,' which has been printed with our Confession of Faith and Catechisms. This, after several conversations upon the subject, and manner of handling it, so that it might be useful to vulgar capacities, was dictated by Messrs Dickson and Durham to a reverend minister about the year 1650; and though never judicially approven by the Church, yet it deserves to be much more read and practised than what it at present is." It was the reading of this treatise that brought the late Mr M'Cheyne to a clear understanding of the way of acceptance with God, as appears from the following extract from his diary: "March 11th, 1834. - Read in the 'Sum of Saving Knowledge;" the work which I think first of all wrought a saving change in me. How gladly would I renew the reading of it, if that change might be carried on to perfection!"